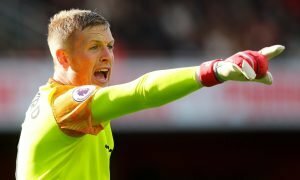 QPR looking to land Everton defender on-loan | The Transfer Tavern | Where football transfer rumours fly or die! The Queens Park Rangers fans are having a quiet drink in The Transfer Tavern discussing reports of a potential loan move for an out of favour Premier League player. The Mirror is reporting that the Championship side have enquired with regards to the availability of Everton defender Bryan Oviedo. Oviedo has done well to battle back from a serious injury but has seen his progress at getting back into the first team hard sue to the form of both Leighton Baines and Brendan Galloway. The Costa Rican international is wanted by Rangers boss Jimmy Floyd Hasselbaink as he looks to continue his overhaul of the squad he inherited from previous manager Chris Ramsey. With Everton submitting a bid to bring Sam Byram to the club from Leeds United it would appear that Oviedo’s days at Goodison Park are all but over. 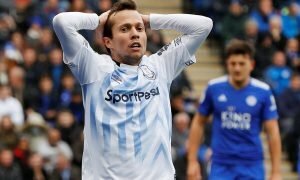 The Everton fans in The Transfer Tavern believe that Oviedo will have to leave the club to get regular football and wish him well should he leave Goodison Park. QPR fans, would Oviedo be a good capture? Let us know in the comments below!